Several commissions are in the works and on their way to permanent homes. 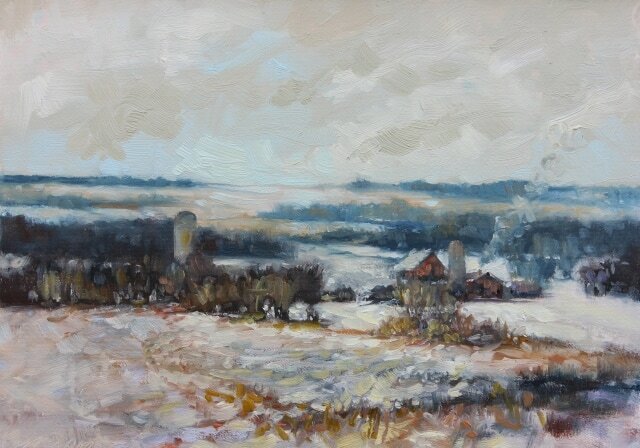 My painting, Waiting on Spring, has been accepted into Bone Creek Museum of Agrarian Art's 150 Artists - 150 Art Works - 150 Years; a celebration of the 150th birthday of the state of Nebraska. I'm in a much talked about series of videos from the very talented folks at Straw Hat Visuals. View "Makers" here. Greg Walkin shared a terrific interview with me in L-Magazine, Lincoln Ne's. premier lifestyle magazine. Read about it in the August 2014 edition. See my work up close at The Burkholder Project in Lincoln, Nebraska, or at the Anne Thorne Weaver shop in the Museum of Nebraska Art in Kearney, Nebraska.